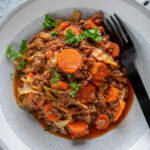 Made with all your favorite stuffed cabbage ingredients, this simplified Dutch Oven Beef and Cabbage Casserole is quick and easy to make! So delicious even those who think cabbage isn’t for them will gobble this up! 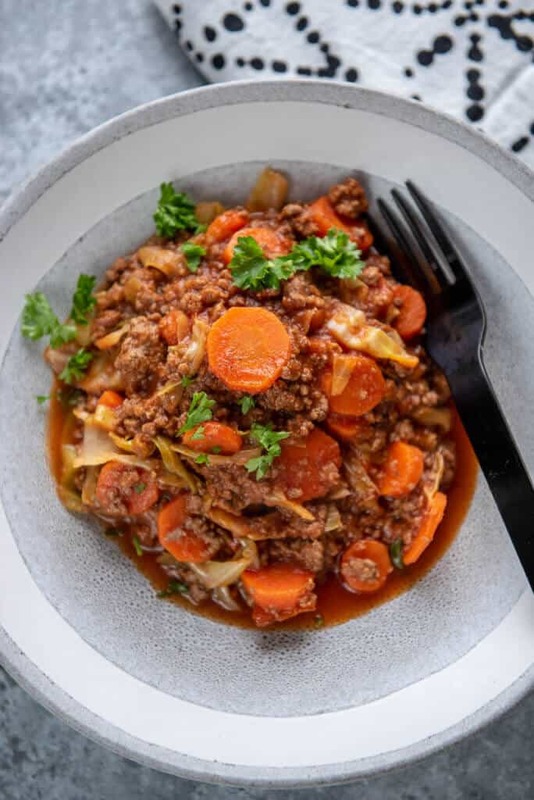 Unless it’s a traditional dish your family makes often, making a beef and cabbage casserole may not be on your usual dinner radar. And let’s be honest, cabbage isn’t something most people crave, or really even something that sounds that great. 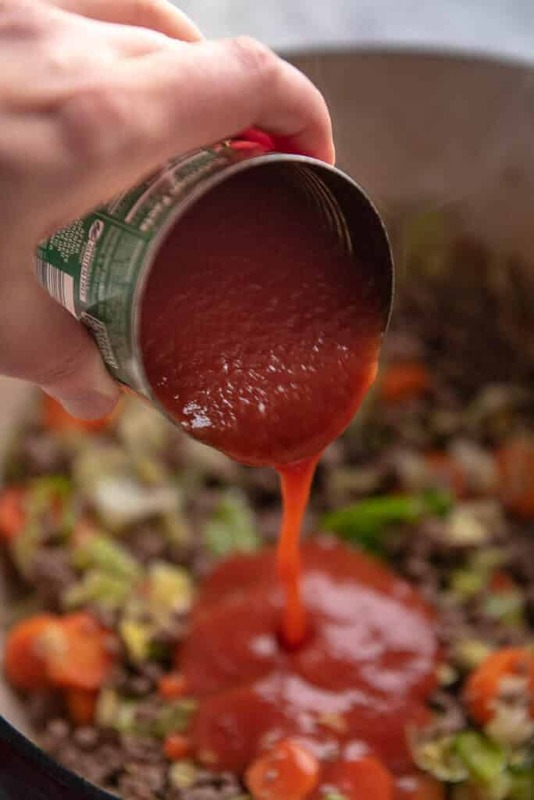 But can I tell you, this dinner is not only quick and simple to make, but satisfies those cravings for a wholesome, delicious dinner! 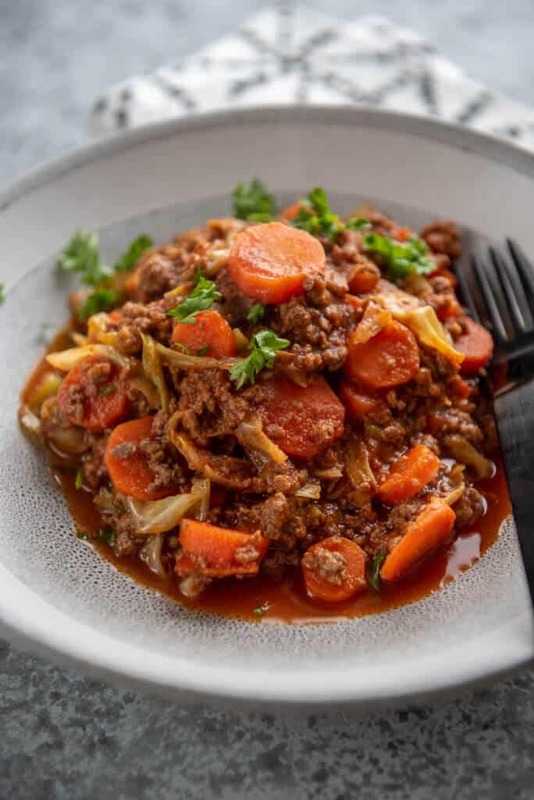 Packed with cabbage, carrots and ground beef this is not only full of nutrition, but filling in a way that won’t leave you feeling overstuffed like when you eat pasta. 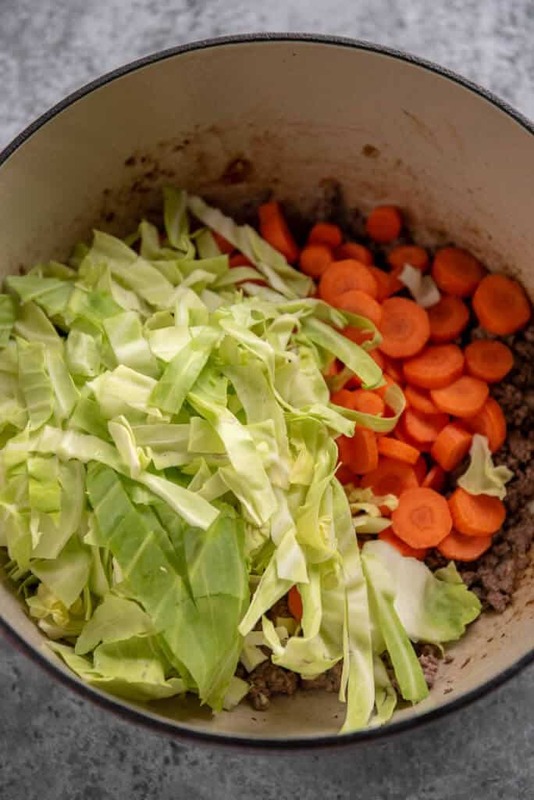 My mother-in-law has often described one of her favorite dishes growing up in a family with German roots called galuskies, which are essentially a version of stuffed cabbage. And I’m all for keeping family traditions alive, but there are also times when making a meal that takes 1-2 hours just isn’t feasible. In comes a quick version you can make in the dutch oven in a fraction of the time! Do I have to use a dutch oven? No, for this recipe any heavy bottomed pan or large skillet would work. But, if you don’t have a dutch oven, it’s a great investment and there are so many delicious recipes you can make in it. 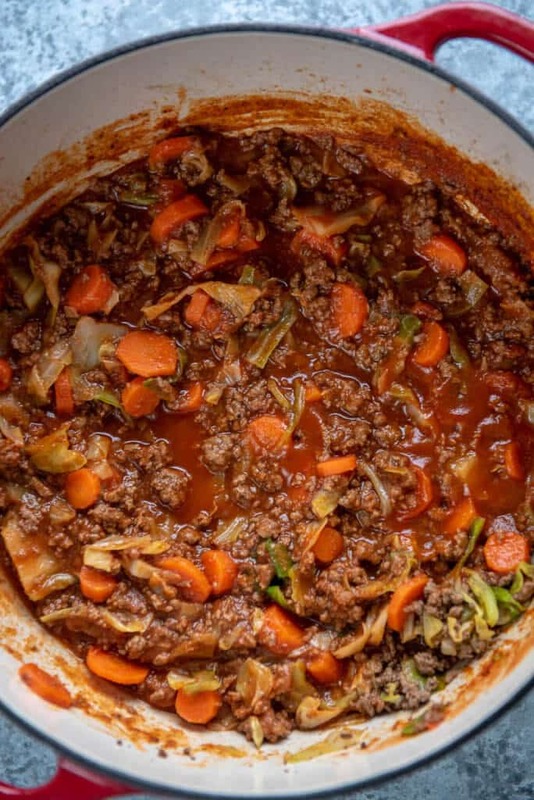 In fact, I’ve got a whole section here on my blog devoted to dutch oven recipes. And you don’t have to invest in a super expensive one either. This is the one I use and I love it! slice your carrots about 1/4 of an inch thick. You want them to cook quickly but not get soggy. They are best when they get to the point of not having any crunch left but not falling apart tender. 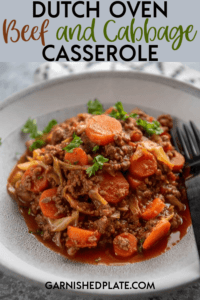 Made with all your favorite stuffed cabbage ingredients, this simplified Dutch Oven Beef and Cabbage Casserole is quick and easy to make! So delicious even those who think cabbage isn't for them will gobble this up!